Mostly Daily Thoughts: "Appropriate Lessons"
Right before getting his soon to be jumped up Ayatollah assets surged out of the hood, Mookie spoke glowingly about the support - spiritual and tactical - that the most proficient killers and serial tormentors of Americans til 911 time had provided Mahdi Army. Nothing but love between intolerant, illegetimate militias that are frightened of free choice, girls unbound or future militaries like those only found in democracies arsenals. It's only natural - natch. improve ourselves by learning from each other. We copy Hiz'B'Allah - the way they fight and their tactics, we teach each other and we are getting better through this. We go and discuss what Israel's future plans are in the Middle East because we are part of whatever will happen." These buddied up brain storming sessions are part of an overall strategy - aided, abetted, funded, guided, fed and bled by Preacher Command in Tehran along with their foreign act out meddlers in the Revo Guard. -- and leaving Iran as the region's pre eminent power. The third front, in Lebanon, is also the model. The fourth front is in Afghanistan, where Taliban militiamen near the Iranian border now come armed with Iranian-made weapons." talking to Hamas through Egypt. Both militias say they would be happy to observe a cease-fire in exchange for political concessions. (GsGf - Mookie says being weaponry free would never work. They are de riger to seize control of Iraq and impose a - your choice - emirate, caliphate, mohammedist society or theocracy). But neither will agree to disarm. at any time of its -- or Tehran's -- choosing. Army its means to harry the American enemy." 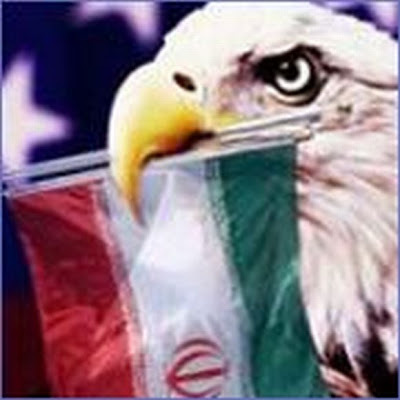 Strategic smokescreens code named 'Grand Bargain" with Iranian revolutionary exporters in Persia is even less likely to succeed. "A grimmer possibility: that Iran believes that its offensive is succeeding and that its goals are within reach, and that it has no intention of stopping. As long as neither Israeli nor U.S. commanders can find a way to win the war of the rockets, that's likely to be the case. " Captured and defected cats from Iran's "al Qods Force" (kinda like a Revo Guard Special Forces cadre) are securely suffering in the clutches of Great Satan and providing some sweet intell and target lists. This is significant. The inventers of Chess could be facing upstarts that invented Strip Poker. Great Satan's avuncular 'Stache' Grande points to overt covert asymmetrical warfare as a possibility to present the ever pragmatic, practical mullahs and their bloody fanboys with options. In such a happy event, few tears would be shed for the annihilation of HBA on TDY, AL Qods cadre or Mahdi Army weapon depots. If Iraqi stability is all the rave - then progenitors of destability may need to get sent to the grave. "was unprecedented in its scope. From Lebanon to Afghanistan--but is also far more sweeping in the type of actions." From the first half line I knew it was you, Courtney. Hey there LJ. Well, reckon my southern accent must be showing up in print!